Starring Keira Knightley, Dominic West, Denise Gough, Fiona Shaw, Eleanor Tomlinson, Robert Pugh, Rebecca Root, Shannon Tarbet, Aiysha Hart, Ray Panthaki, and Caroline Boulton. One of the pre-ending credits factoids notes Sidonie-Gabrielle Colette as the most popular French female novelist and a nominee of the Nobel Prize in Literature, but even accolades that accomplished far undersell just how inspirational, trailblazing, and downright important she was (and continues to remain with fine works such as this biopic) as a feminist icon. Colette’s delicately beautiful arranging of words, the elegant fashion she embodied both in her personal life and performing on stage in theatrical arts, and her all-around sweet sensitivity as a human being are enough ingredients on their own to make for a compelling story about a multi-talented historical figure, but timing is everything and at the turn of the 20th century society was not on her side, making for something that feels both a product of its time and highly relevant to our current landscape of various entertainment mediums. Keira Knightley graces the role of Colette with sophistication, vulnerability, a gradually growing sense of confidence in her abilities, a voyeuristic side (the film does not shy away from her bisexuality), and an endearing charm. Unfortunately for Colette, she’s also married to Dominic West’s Willy (a penmanship pseudonym in place of his real name Henry Gauthier-Villars), a publisher at least a decade her senior who would have her believe that she is his muse, when in reality it’s a degrading, controlling, and manipulative arrangement more than anything. It’s clear Willy did legitimately love Colette at some point, although that passionate romance didn’t last very long as he justifies sleeping around with other women as an evil but necessary male urge impossible to resist. That’s not even the worst of it, as once he realizes she could be the savior to his failing business she is put right to work, cranking out at least four hours worth of writing a day, which Colette doesn’t mind in the beginning but slowly becomes impatient with as she continues to feel more and more used every day, all while allowed to explore her sexuality with other women and in turn understand more, true, feelings of intimate connection. It goes without saying that the relationship depicted here is not a healthy one, so every time Colette raises her voice or appears to be ready to take a stand against this domineering narcissist, the emotional catharsis that could potentially be released is palpable. Instead, Willy finds new ways to keep her on a leash, so to speak, whether it be purchasing a home around her French countryside upbringing (they live in Paris together, attending a number of ritzy parties that the much more laid-back and common Colette finds boring), breaking out into strongly seductive wordplay game, or some other devious plan. Colette doesn’t just function as a competently crafted love letter to such an iconic female figure, but also a roadmap on toxic masculinity, fragile male egos, and sociopathic behavior patterns. The malicious handlebar mustache doesn’t help his cause. Furthermore, this dynamic halts the film from falling in that prevalent biopic pitfall of stretching someone’s life across a long stretch to the point where numerous impactful moments become muted. For as much as the movie is about the eponymous Colette and everything she stood and fought for (her own husband wouldn’t even let her claim authorization on her novels, expressing that men would not purchase a book from a woman), it’s also about love that turns sour, and then abusive, until highlighting the courage and bravery to push back. Admittedly, the film can get a bit repetitive watching argumentative segments flare up as if they are ready to explode, only for the tone to dial itself back down some notches before repeating the cycle. However, when Keira Knightley is finally allowed to unleash scorn from years of emotional torture and frustration, well, that scene will absolutely be the Oscar clip if she receives a deserved nomination. Director Wash Westmoreland is aware of what he is doing (and it’s no surprise that Keira Knightley took on the role considering the filmmaker’s previous film Still Alice was a huge awards success netting Julianne Moore nearly every major victory); in order to keep Colette from becoming yet another directionless Wikipedia reminiscent look at a historical figure, he’s not just honing in on the pre-solo fame, but how such a toxic relationship transformed Colette into the pioneer celebrated today. Not to mention, the costumes and production design are outstanding, boasting vibrant colors; the juxtaposition between the Paris highlife and countryside is a visually thematic presence in its own right. 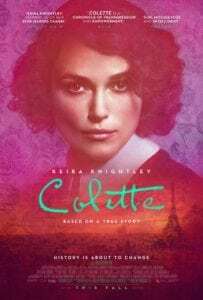 Still, Colette takes a bit too long to generate any serious tension, and also plays things relatively and disappointingly safe. 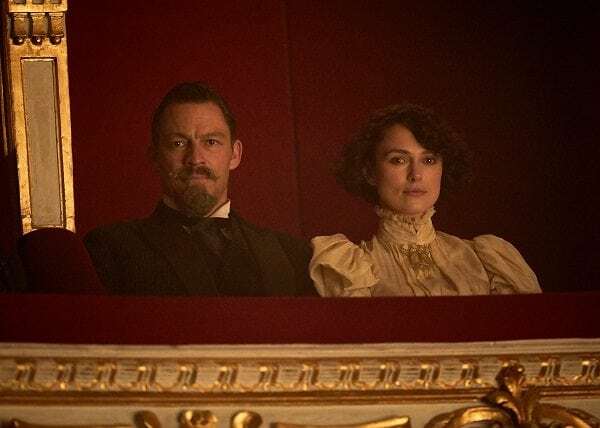 The film works best when she visibly wants to tear Willy’s head off; through Keira Knightley’s performance, we see how immensely talented Colette is at seemingly everything she attempts and know that Willy deserves no damn part of that hard-earned fame.